When you first arrive at Camp Rising Sun, park in the first parking lot near the dining hall, where you will check in for cabin assignments and sign up for two to three Loving Service camp tasks. There will be a pre-camp afternoon retreat in the lower level of the zikr hall on Friday as well. Click on its link on the menu at the top right for more info. Announcements in the circle outside the dining hall are at 5:45 pm followed by dinner at 6:00. 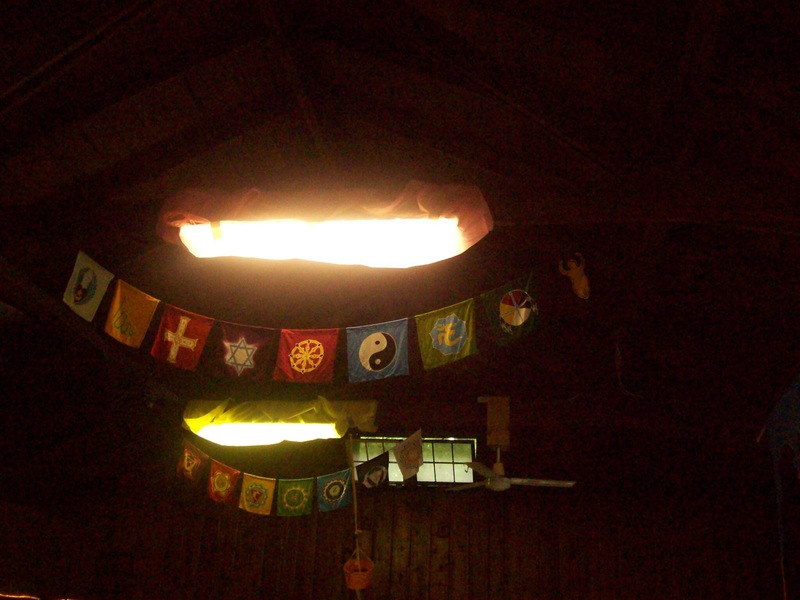 There is a Friday Night Shabbat at 7:15, led by the children’s camp, followed by an 8:00 Evening Circle of Welcome: Zikr and Dances of Universal Peace. Friday’s Schedule will be posted on the dining hall and cabin doors. The Camp Daily Schedule (with class descriptions on the back) will be handed out at the latest by the end of All-Camp Class on Saturday morning. Departure: Campers must be out of the campground by 10:00 am on Wednesday, May 29th. While staff (those with scholarships) are expected to come Thursday and help set up, all other campers who wish to arrive early are also expected to assist with setting up the camp. Contact Camp Manager Ben Moore (ozarksufi@gmail.com) to arrange for early arrival. If you would like to arrive early but not participate in camp setup, you may do so for a fee of $50 per adult. Receiving your registration form with fees paid by the Early Registration Deadline of Friday May 4th will allow us to save money in bulk food purchases, thereby keeping your camp fees affordable. We also pay the State Park a daily rate for each camper. Accurate registration information helps us keep the cost of camp affordable for us all. Keep in mind that giving us your arrival and departure days and times on your registration form helps us plan for headcounts at meals. If there are changes in your arrival or departure times that will affect meal counts, please tell the registration staff! This is important during camp too if you leave before Tuesday morning.